For several decades Andrew Willis has explored the historical development of keyboard instruments and their performance practice while maintaining a commitment to the study, performance, and teaching of the widest possible range of repertoire. Keenly interested in the history of the piano, he participates frequently in conferences, concert series, and festivals. 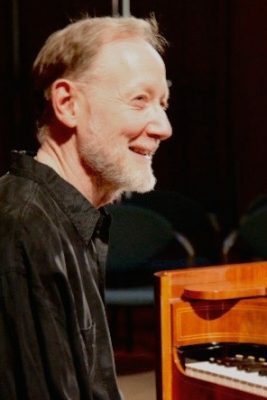 A past president of the Southeastern Historical Keyboard Society and a Trustee of the Westfield Center for Historical Keyboard Studies, he served a finals juror of the Westfield International Fortepiano Competition in 2011. Willis received the D.M.A. in Historical Performance from Cornell University, where he studied fortepiano with Malcolm Bilson, the M.M. in Accompanying from Temple University under George Sementovsky and Lambert Orkis, and the B.M. in Piano from The Curtis Institute of Music, where his mentor was Mieczyslaw Horszowski.